Interstate 70 travels over the Globeville/Elyria-Swansea neighborhoods. Brick homes built in the 20's sit between factories and rail yards. Interstate 70 towers over old buildings in Globeville/Elyria-Swansea neighborhoods. The neighborhood is essentially cut off from the rest of the city by railroad tracks and I-70. You’ve most likely driven through the Globeville/Elyria-Swansea neighborhoods, or more precisely, you’ve driven over them. Sitting at the junction of Interstates 70 and 25, the community of roughly 3,000 has been dissected by several elevated portions of interstate. For lifelong residents like Liliana Flores Amaro and her extended family, the gigantic gray slabs of concrete are a physical reminder of what the area has endured. With the revitalization, there’s a fear of gentrification in the neighborhood. Other renovation projects in Denver, such as the Northside and Highland neighborhoods have pushed a once largely immigrant population away as home prices have soared. “People want to be able to have amenities and services that any other neighborhood has in Denver, and still be able to afford to live there,” Flores Amaro said. Immigrants have called Globeville/Elyria-Swansea home for well over a hundred years. Eastern Europeans moved to the neighborhood in the 1800’s largely because of the Globe Smelting and Refining Company that processed raw minerals brought from Colorado’s high country. Other industry followed. 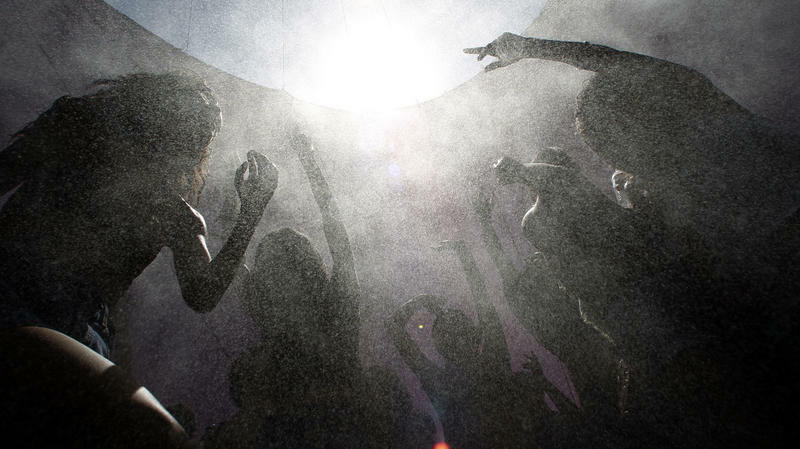 While the community may have a gritty appearance; residents have created a vibrant, cultural community all their own. “It’s a great mix of families that have been there for generations and decades,” Flores Amaro said. The neighborhoods have always been that way, highly industrial and a home to immigrants. Most recently, from Mexico. Denver City Councilwoman Judy Montero, who represents the neighborhood, says there’s not much that can be done about the lack of urban planning in the neighborhood, or the “past environmental justice issues” due to industry that have plagued the community for years. But it's the driving force behind the revitalization -city officials want to have an impact on the future. With major improvements announced and then shelved in the past, the six new projects proposed in the neighborhood are the closest to fruition than any that have come before. Denver Mayor Michael Hancock unveiled the projects, dubbed the ‘North Denver Cornerstone Collaborative,’ in 2013. Visual Simulation of the Partial Cover Lowered Interstate 70 in Globeville. Credit Colorado Department of Transportation. A total of four new light-rail stations will be constructed in the neighborhood and the East Commuter Rail Line will cut through on its way to Denver International Airport. 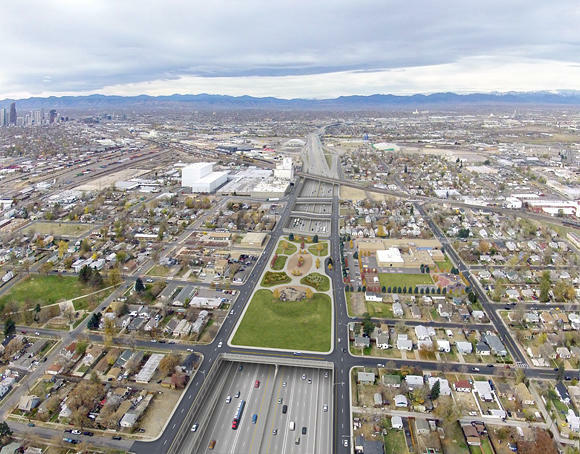 Another project could remove the aging interstate viaduct over the neighborhood, burying it underground and replacing it with a sprawling park. The National Western Stock Show, an integral part of the neighborhood since the early 1900’s, also has big plans to integrate into the changes. Once the subject of speculation on whether it was moving or not, Paul Anderson, the stock show’s President and CEO says he remains committed to staying put. 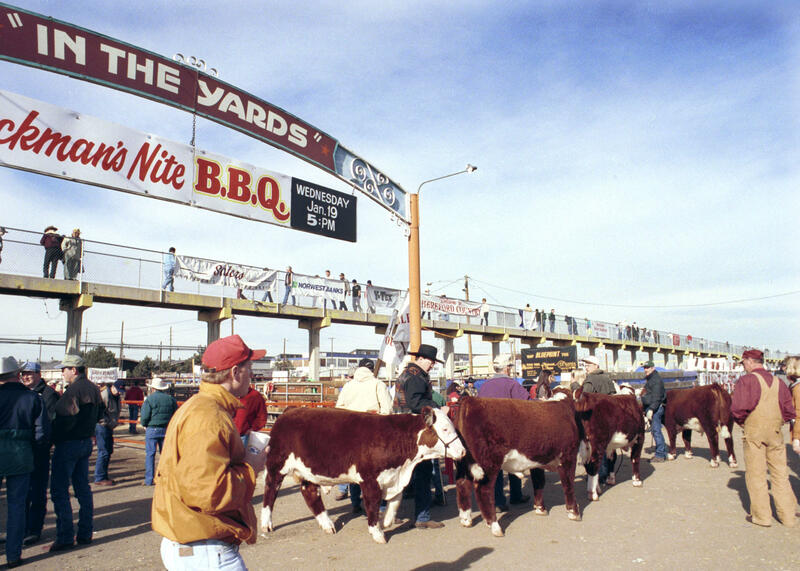 The Yards at the National Western Stock Show. But Mayor Hancock says the area needs to be improved; to turn what has been called the back door of Denver into the new front door. “Reality is that, you know, we are not pleased with the entrance to our downtown,” he said. Councilwoman Montero maintains the community will have a say as planning moves forward, with funding secured for low income housing and other assistance programs to keep residents in the neighborhood. Even if the projects come to fruition in their current form, it will take at least a decade before they’re all fully realized. In that time, multiple administrations could come and go. That could mean the hope and promises of a renewed neighborhood are in sight, but possibly just out of reach. The hotel lobby in Franklin, Tenn., has an ultra-urban loft-esque feel — exposed air ducts, austere furniture and fixtures, music videos projected onto a flat panel. Everywhere there is lava-lampish aqua and amber lighting. Sale racks near the front desk display chargers for iPods and BlackBerrys and a variety of snacks, including Cocoa Puffs and Red Bulls. Every room features a media box for digital video and music. Cities around the nation have tried a variety of approaches to revitalizing their urban cores. Some have turned to repurposing old infrastructure to breathe new life into neighborhoods. 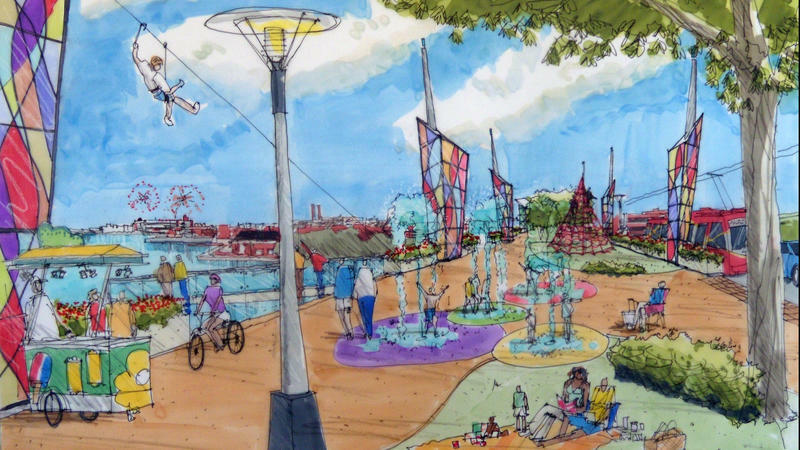 One such effort is under way in the nation's capital, where the redevelopment of a bridge linking a wealthy part of the city with a lower-income one may present an opportunity — if an ambitious park plan can be brought to fruition.